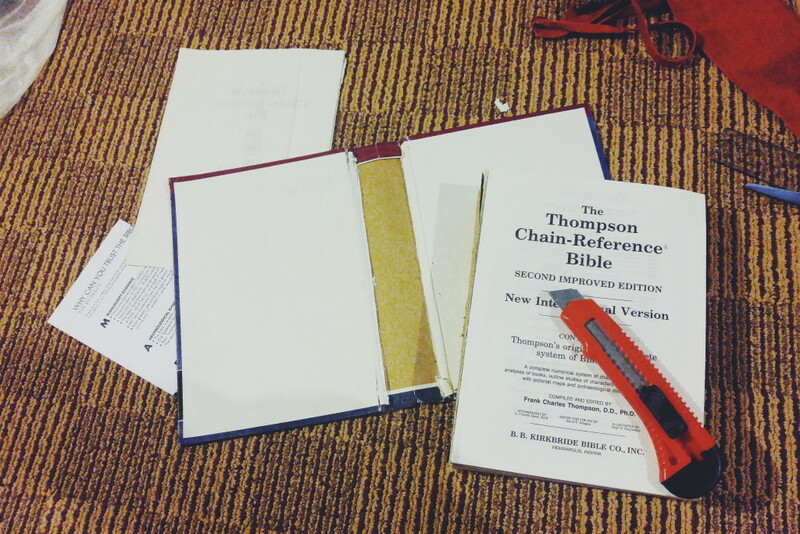 Cutting the block of pages away from the cover was kind of scary! No turning back! 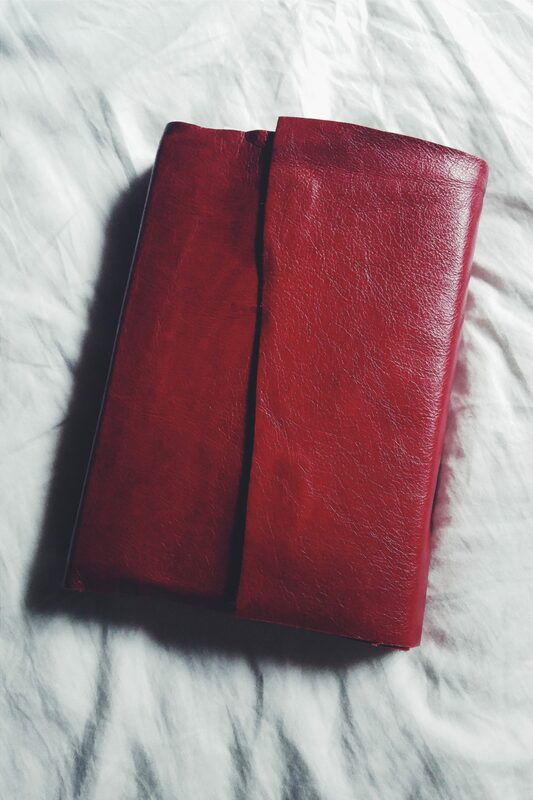 We went to a leather store and I picked out a beautiful red leather I really like. 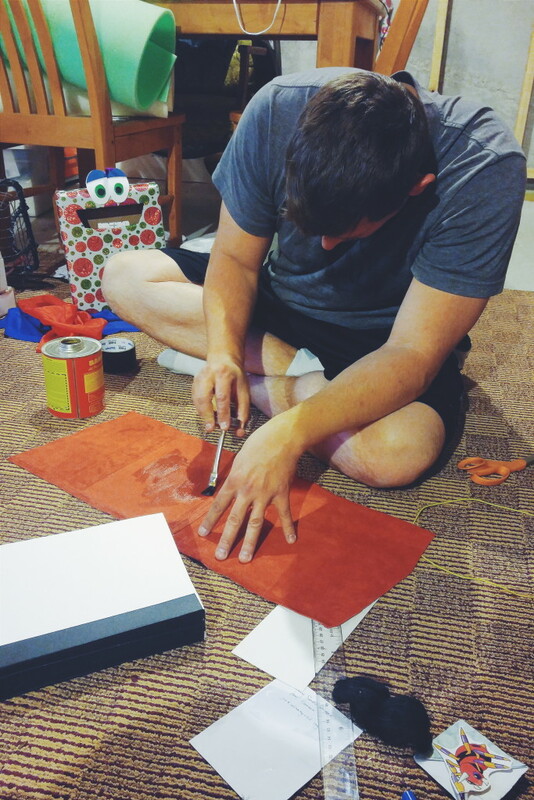 Here’s Branden spreading glue over the new leather cover. Also, monster box photobomb :) You can see the block of pages in the bottom corner. The binding had come apart in some places. 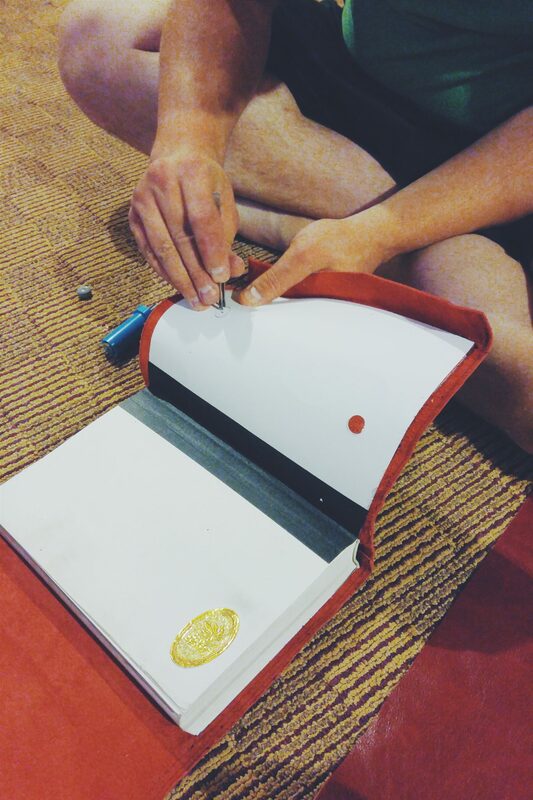 We repaired it with bookbinding glue and gaffer’s tape. All in all, the materials cost about $30 – much better than $100! Installing magnets for a simple, low profile closure. All finished! I really love it! It’s beautiful and rustic and simple and red! And best of all, I got to keep my Bible! It’s not that getting another Bible (which at some point I thought I might have to resolve to doing) would have been bad. But this is MY Bible! Branden gave it to me right before we got married. 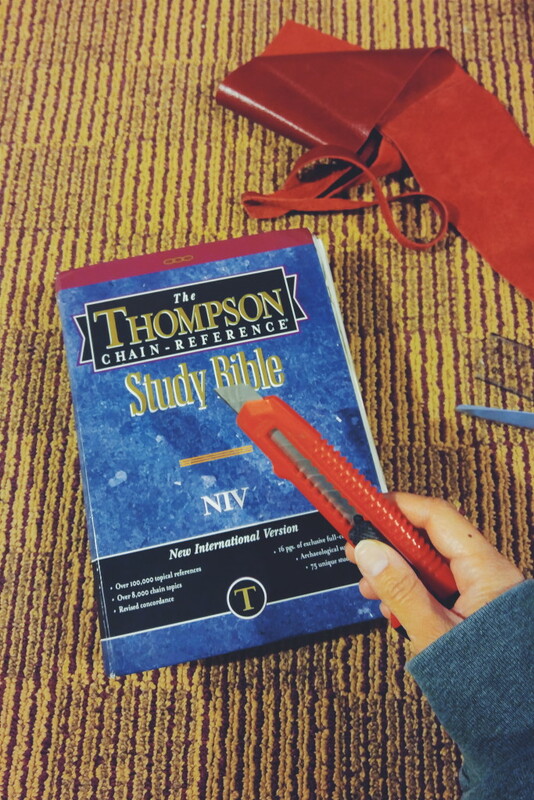 It was with me though those first years of marriage and ministry, when we started a family, through transitions and moves, and in the past few years, has been my companion as the Lord called us into full time missions. It traveled with me on our first trip to Ireland! 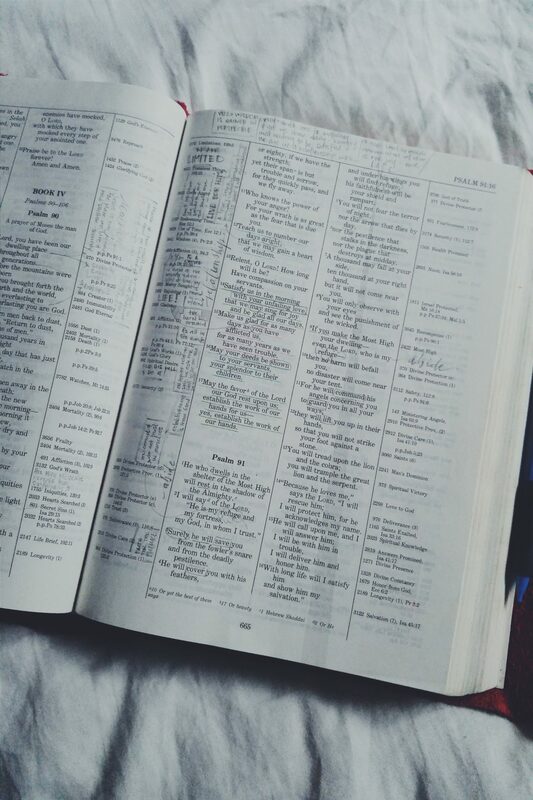 The Lord has done and continues to do so much in my life through this Book – His Word to me! And I’m thankful that, in its new state, it will hopefully stay with me for many seasons to come! 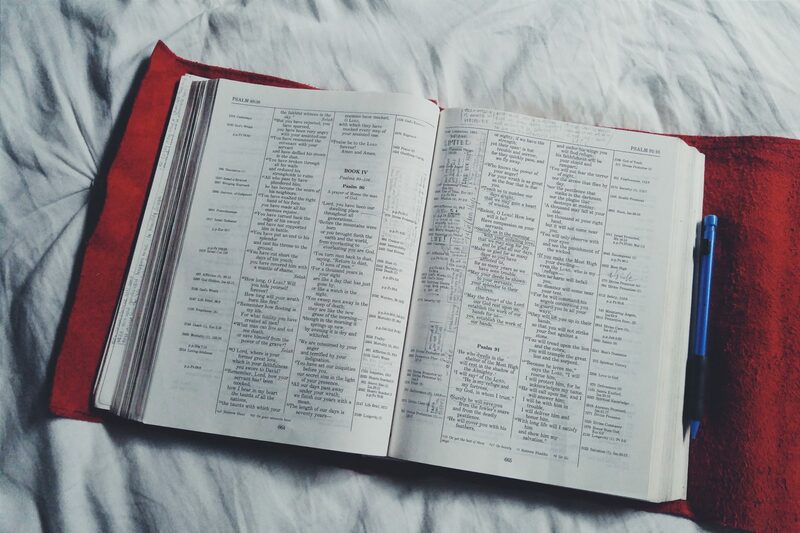 There are several verses the Lord has been using to encourage me the last few days. Maybe this one will encourage you too! This year for Father’s Day, I wanted the boys to make Branden something simple, handmade, and heartfelt. I’m a big fan of taking things you find in nature and using them purposefully for displaying/decorating; it adds a rustic feel (and I can usually do it on the cheap!) So, here’s what we made Branden this year! 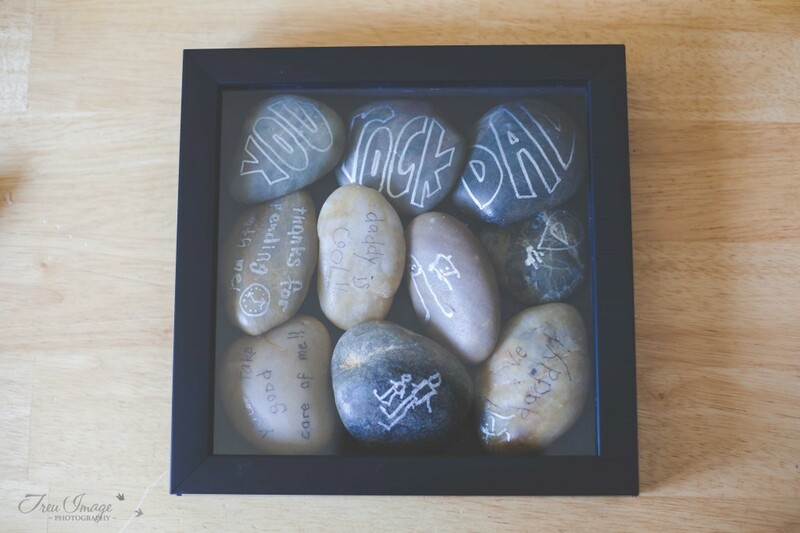 If you’re needing something cool, inexpensive and quick to make for Father’s Day (or pretty much any occasion), this is a great gift! First, open up your shadow box. If it’s like ours, it had a black or neutral colored matte as the backing and maybe another matte inside. Save the black matte; this is what you’ll glue the rocks to. Pick out the rocks you want to use and arrange them on the matte. 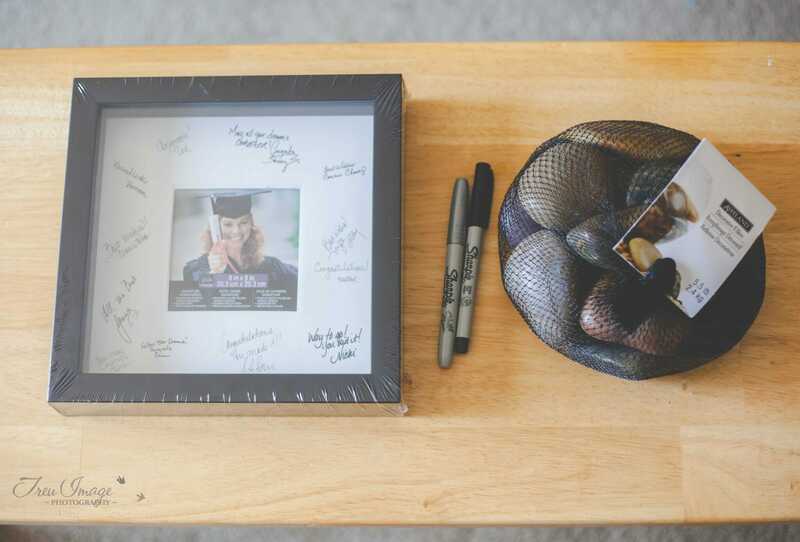 Place the shadow box over them to make sure it will close. 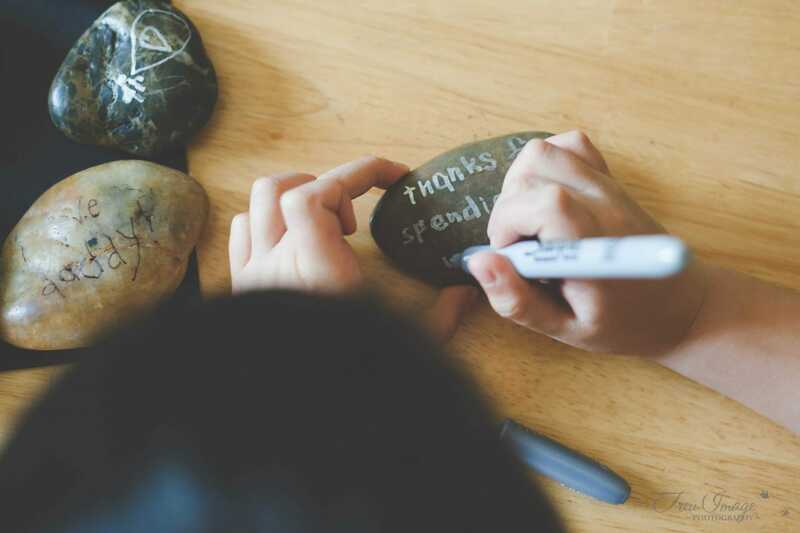 Have your kiddos write sweet things to Dad on the rocks. 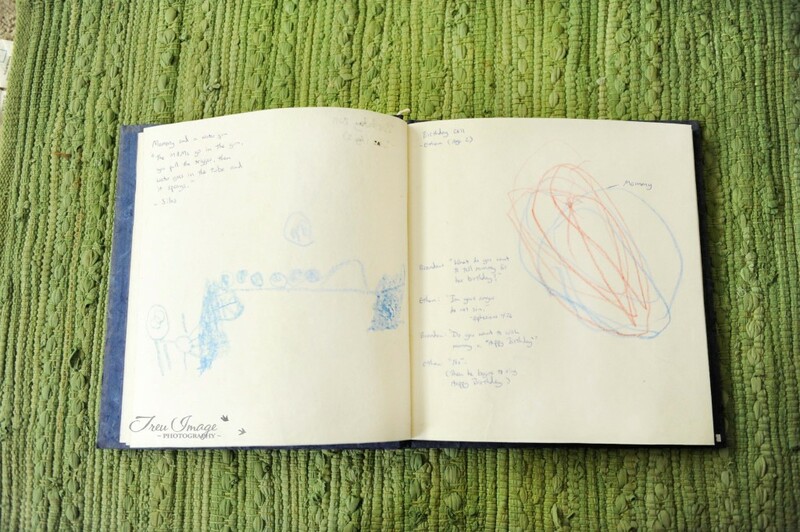 They can write phrases to Dad, write what they love about him, or even draw pictures. We did a little of everything! 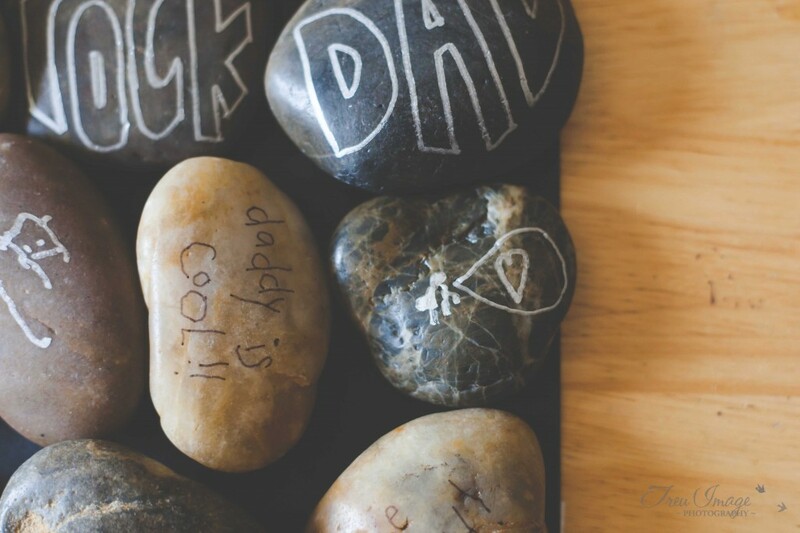 Make sure you leave three rocks on one side that you can write “You Rock Dad” on. I did those, but an older child could help too. I will say, I helped Ethan (our four year old) by holding his hand while he wrote since he doesn’t know how to write yet. 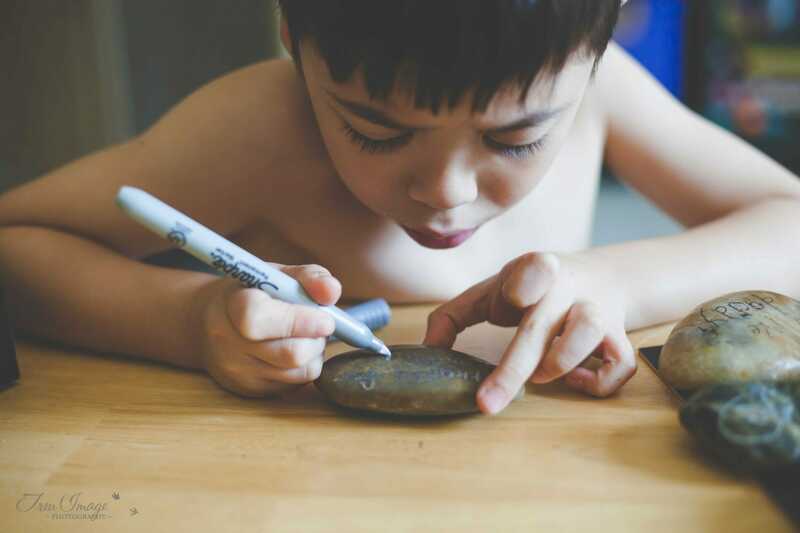 Silas (5) had a hard time too, so I wrote what he wanted on the rock with pencil and he traced over it with the Sharpie. The pictures they did themselves. Arrange your rocks on the matte again. Plug in that glue gun and get to gluing! Make sure to leave about a 1/4 inch all the way around the matte for the lip of the shadow box. This was probably the hardest part of the project. 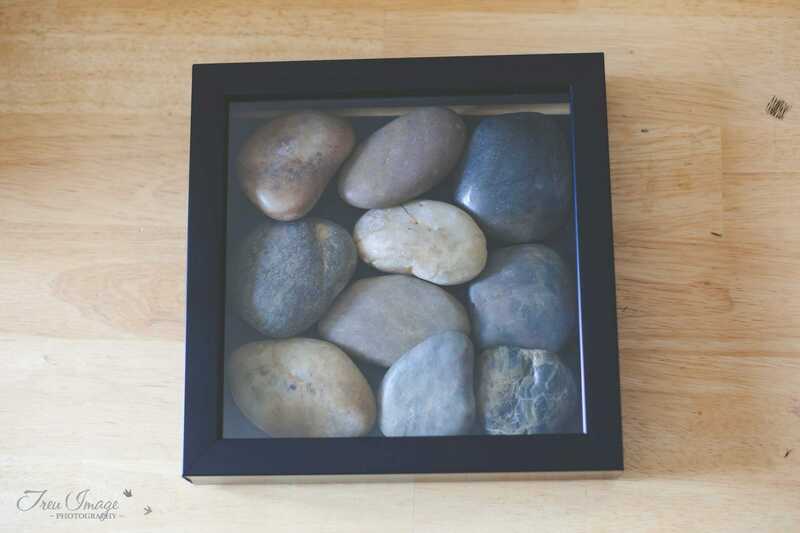 Make sure to check that the rocks will fit periodically by placing the shadow box over the rocks. You want to make sure it will close!! 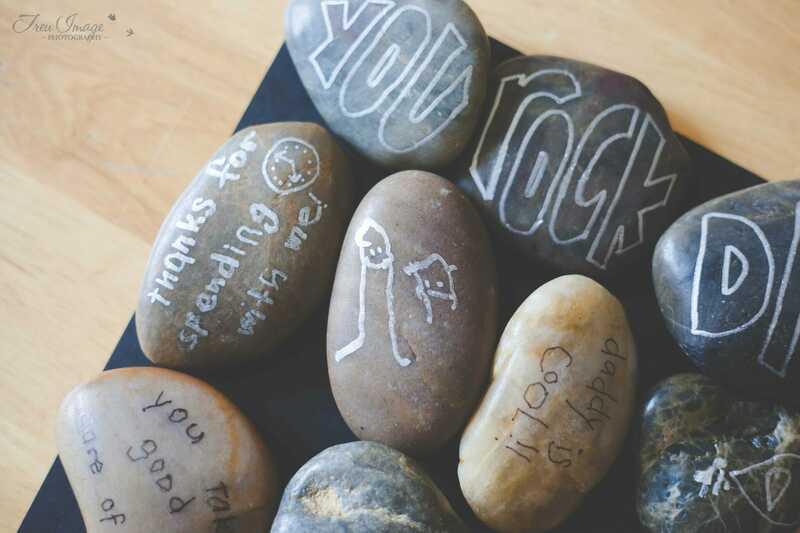 Here are some close ups of the boys’ rocks. So sweet! And here’s the finished project! I love how it turned out! 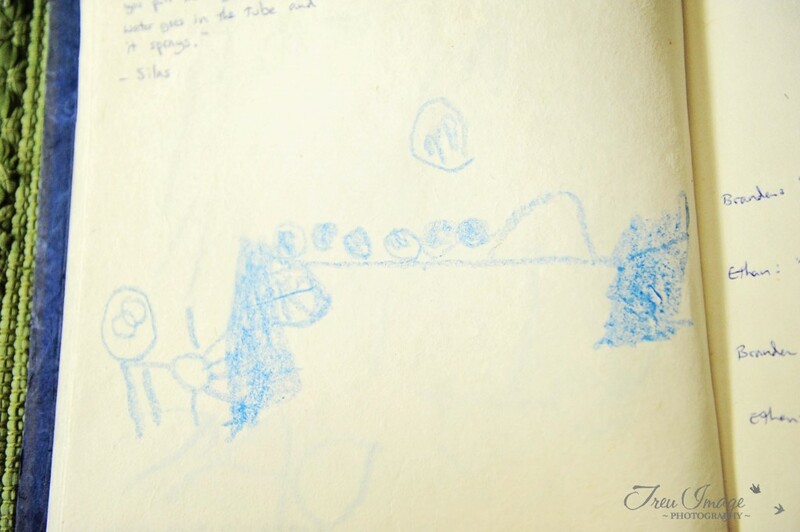 I love too, that these drawings and handwriting tell of the boys’ age right now and how much they adore their dad! 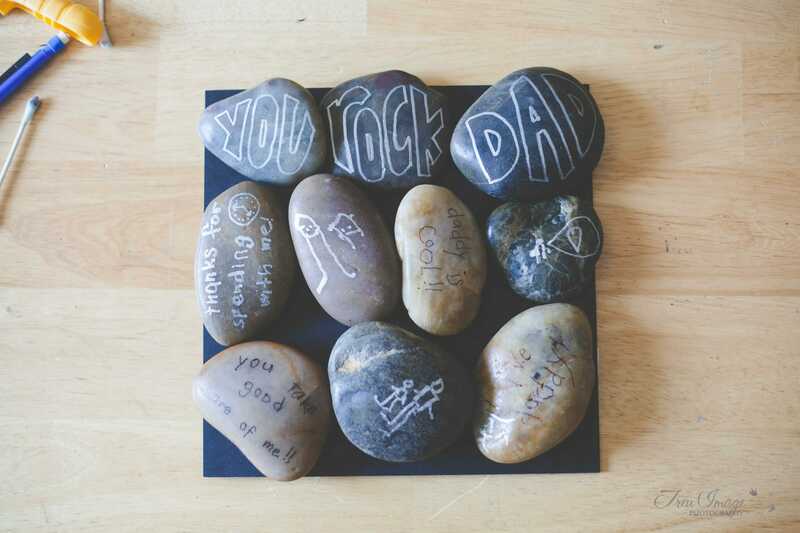 So, a sweet and simple project that’ll tell Dad how much his family loves him! Happy Father’s Day dads! 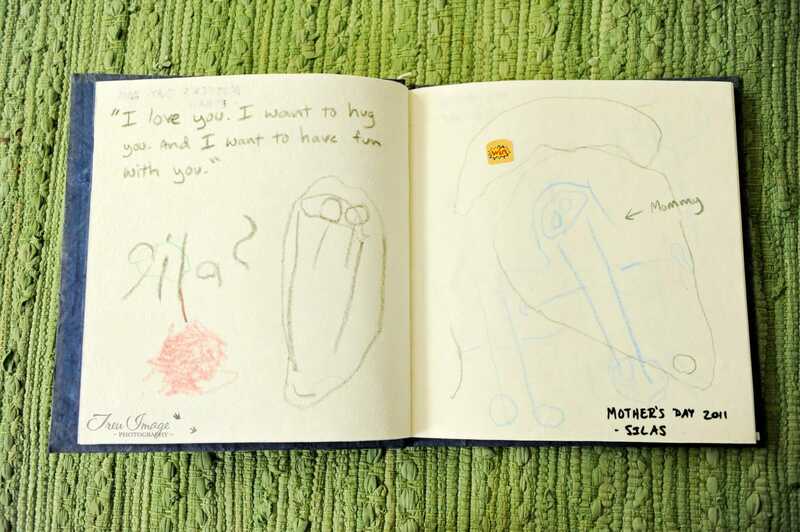 A few years ago, Branden and the boys got me what they call “The Mom Book.” I had seen the idea in a magazine somewhere (that I don’t remember :/ but I told Branden that it’s what I wanted for Mother’s Day instead of cards. Don’t get me wrong, I like greeting cards. They’re great, except for two things. 1 – They’re expensive. At least I think so. If I’m going to spend five bucks on a card for someone, I think I’d rather get them a frappuccino. Maybe that’s just me. #2 – I want to keep them all! This is a serious problem. I literally have every letter, card, post it note, and tiny scrap of paper Branden ever gave me while we were dating. I’m like a sentiment hoarder! Anyways, The Mom Book. 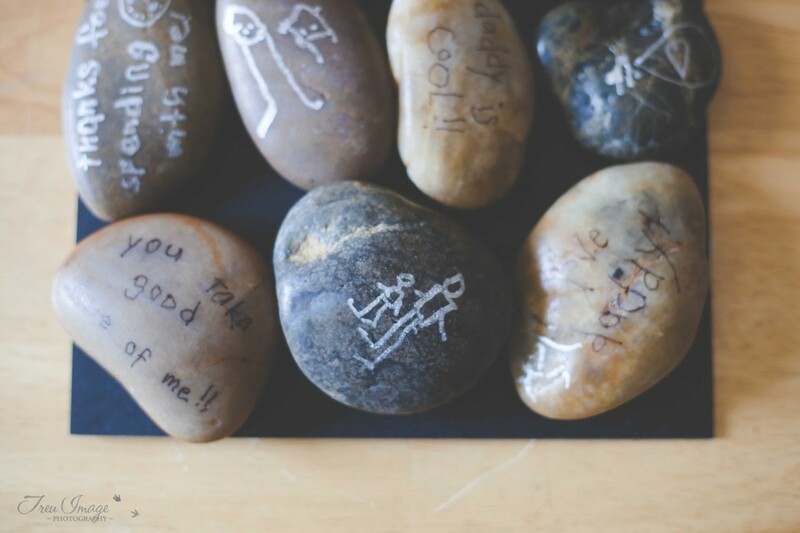 This is a creative, sweet alternative to the piles of greeting cards you might be accumulating. And, it’s a way to chronicle your family’s affection throughout the years. Take a look! 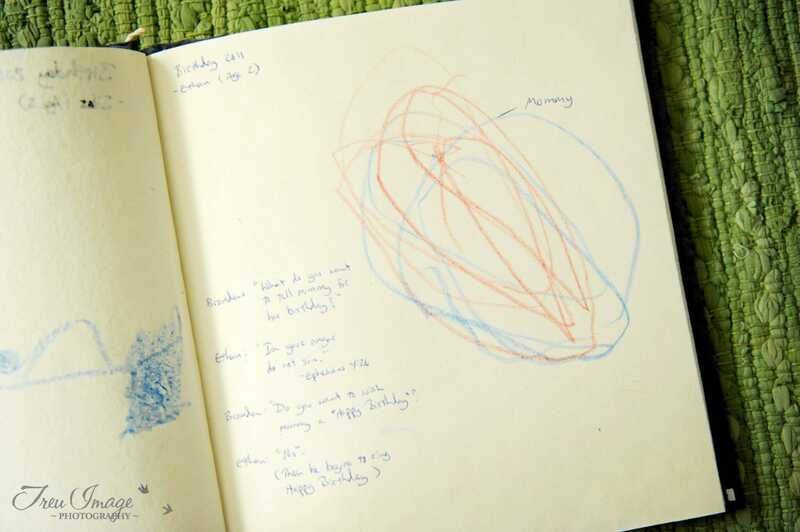 The idea is to get a nice notebook and have your kiddos write in it for whatever occasion(s) they’d like to. They started this one for me on a Mother’s Day, but they write in it for my birthdays too! 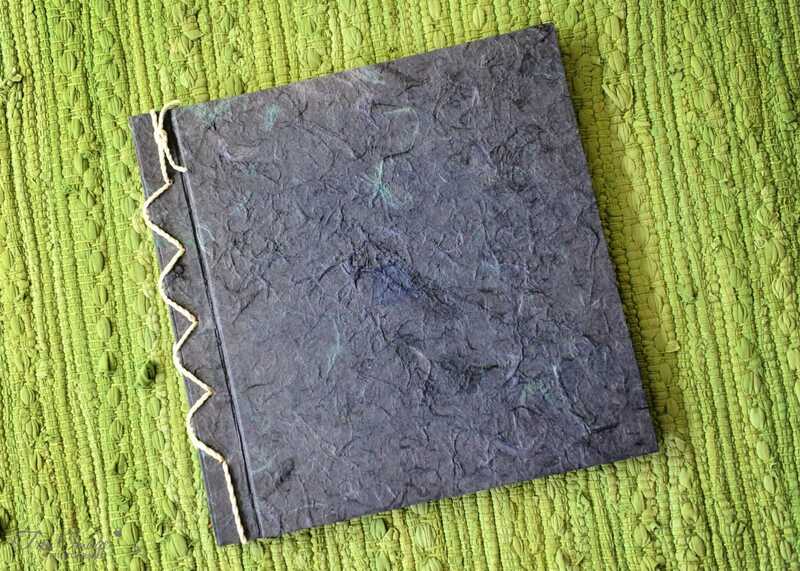 Branden bought this scrapbook at Hobby Lobby with a 40% off coupon :) It’s beautiful – handmade paper and the inside is just blank 12×12 sheets, which is perfect for little boys who are learning to write and want to draw pictures with everything! 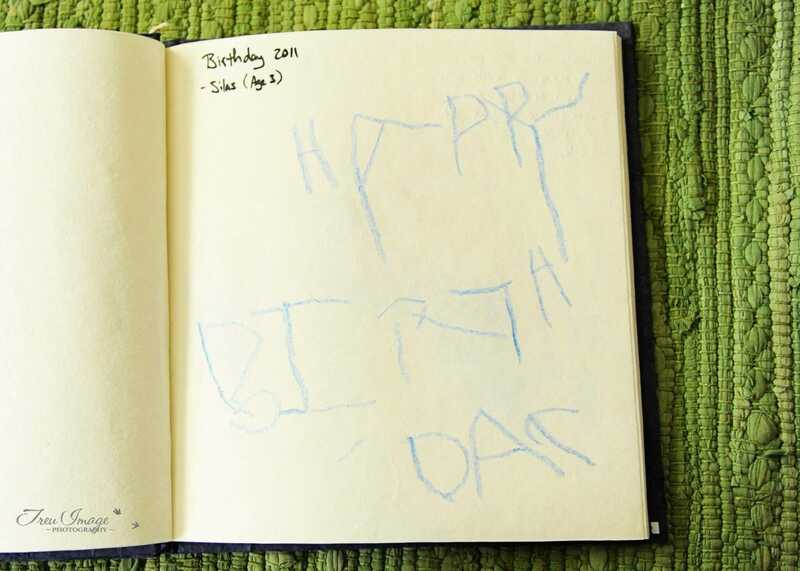 This particular birthday of mine in 2011, was about the time where Silas (age 3) was first learning to write his letters. We had just begun to homeschool him. I know they’re not perfect here, but Branden said that he just dictated the letters in order to spell out Silas’ message. This is literally the first thing that Silas has ever written without tracing or copying – and I have it in a message to me in his sweet, imperfect 3 year old handwriting! Branden: What do you want to tell Mommy for her birthday? Branden: Do you want to wish Mommy a happy birthday? If you’d like to stop collecting greeting cards and have all your kids’ sentiments chronicled in one place, maybe ask them to start a Mom Book for you. It’s not too late to start!